What do you really want to do with your life? Author Linda Thorne had that moment of clarity and she’s been writing ever since. She says in this week’s Killer Nashville Guest Blog that she was hooked regardless of whether her work was published or not. Publication finally came…ten years after that first epiphany.Find your passion, and then read and write like someone is burning the books!Happy reading! I remember the day I made up my mind to write a book and meant it. Certainly not the first time I’d toyed with the notion. My protagonist would be a career human resources manager like me, but she’d be a creation of my imagination that could get away with about anything. She’d turn sleuth and solve crimes, be the instigator in getting bad bosses their comeuppance, and go where day-to-day HR managers never go. The year was 2005 and my husband and I were living in a little town called Hanford, in the Central Valley of California, where I was having the damnedest time finding a job. I was reading a Carolyn Haines book in her Bone series and thought, I can write a book like this; it would be easy. The thought came out of nowhere with such clarity I knew this time I’d do it. Looking back, I’ve laughed at my naivety hundreds of times. I misjudged the simple, clean writing of Carolyn Haines as easy. I know now how hard it is to put words on paper that appear as effortless writing. 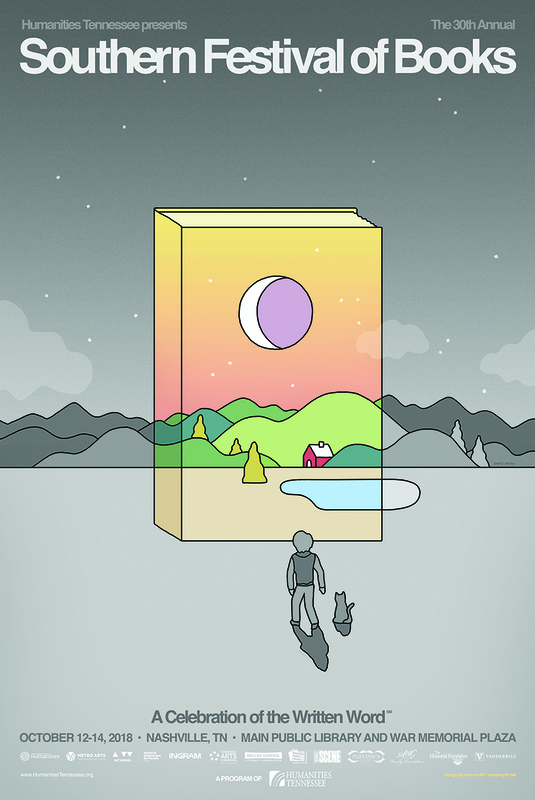 But it all seemed so doable on that particular day, so with determination in my heart I went to the nearest bookstore and bought a book called, You Can Write A Novel, by James V. Smith, Jr. and read it. This was going to be a snap. I purchased varying colors and sizes of index cards and began logging descriptions and motivations for characters, plot points for the storyline, and other needed information. I sorted and organized the cards and stored them inside a notebook. All I had to do was follow the recipe and “bam,” a perfect cake, first time out. Yeah, right. I spent seven months writing the book I’d titled Just Another Termination but the finished product didn’t sound like any other book I’d ever read. It wasn’t good. Actually, that’s too mild. It was awful. 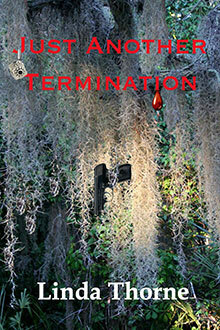 Find Just Another Termination on Amazon. So I began the long process of beating myself over the head to get it because once I started writing, I couldn’t stop. Writing became my curse as well as my love. I learned to write while rewriting, studying self-help books, writing short stories, sharing my work at critique group meetings. I submitted my book to agents and publishers for years. I also entered contests, my favorite being the Minotaur Books/Malice Domestic Best First Traditional Mystery Novel Competition, a free contest for anyone who had not already published a novel. Each year when I didn’t win, I’d do a critical review of my book before submitting it for the next year’s contest. In 2013, I knew I was making headway because, Just Another Termination made the finals. It made the finals again in 2014, but I couldn’t wait another year. Just Another Termination tells the story of Judy Kenagy, the first human resources manager to turn sleuth or, at least, the first to admit it. The story begins on the Mississippi Gulf Coast pre-Katrina when a young female employee, a no-call-no-show, is found shot to death. I tweaked the book again and submitted it to Black Opal Books. To my surprise, they offered me a publishing contract for a 2015 release date. I was ecstatic, but I also knew getting published was not an end by any means. There’s marketing the book, writing other books and dealing with their promotion too. The journey has taken longer and been tougher than I ever imagined and it’s not over. It’s been ten years and counting since that day in Hanford, California, over a decade ago. Whether a curse or a blessing, the decision has been made. Hey, Linda! I was also on the “10-year plan.” I wrote several novels trying to perfect the craft and also submitted to the Minotaur competition, although I didn’t resubmit. Instead, BOB was one of the publishers I submitted a different novel to (MOONSPELL, the first of a trilogy), and when they accepted that one, they also wanted my murder mystery (MURDER IN THE FAMILY). Good luck with JUST ANOTHER TERMINATION. How neat. Ten years doesn’t seem that uncommon. I’m only blogging big-time right now because my book just came out 8-29. I hope you’ll stop by Thursday and Friday for two guests I have (then nothing for a while). There are listed on http://www.lindathorne.com. 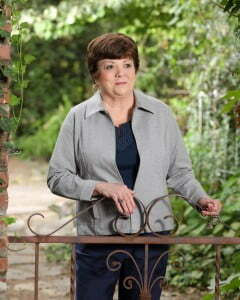 Marilyn Meredith has written about 37 books. She says she’s slowing down with age, but she certainly isn’t with the books she keeps putting out. In her newest, she’s name a not-so-nice character after me. On Friday, Jacqueline Vick has a post about her psychic pet series. She was on a list BOB gave me of good blogs to be on. How neat we have the 10 years thing in common.